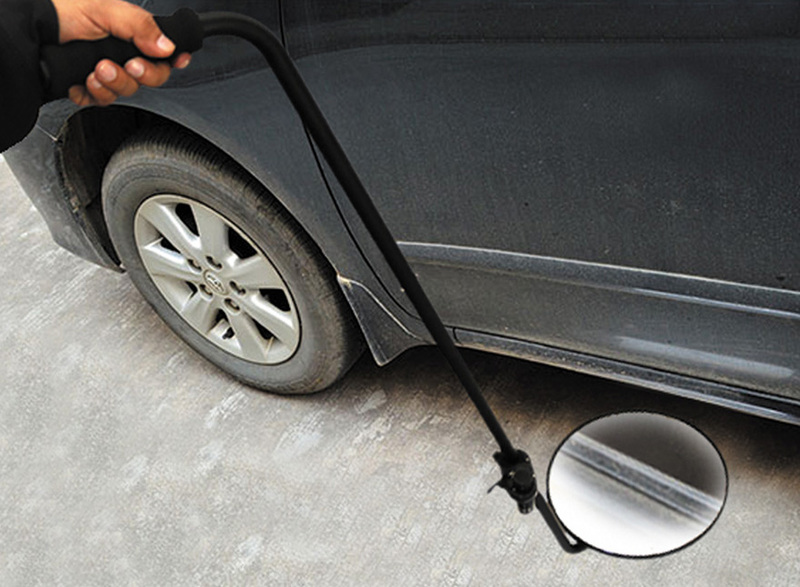 The Under-Vehicle Search Mirror is ideal for the rapid and effective visual search underneath vehicles and for examining fixed installations for potential hazards and for the location of contraband material. Large convex mirror, dimensions 330 x 265 mm enables a high-quality picture of the observed area. The extra portable light, 11W/12V, charged with 10 standard batteries type D, either regular or ACO, enables local lighting of dark areas under observation. The whole construction is based on light transportable handcart. There is a possibility of independent light-use. Light is portable with 2,5m cable-length and 12V charger.